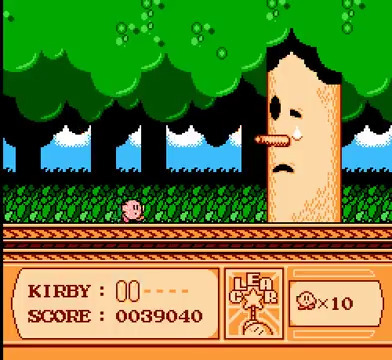 Kirby’s Adventure debuted towards the end of the NES era, yet that didn’t stop an effort by HAL to produce one of the most memorable and impactful games for both the system and the Kirby series. 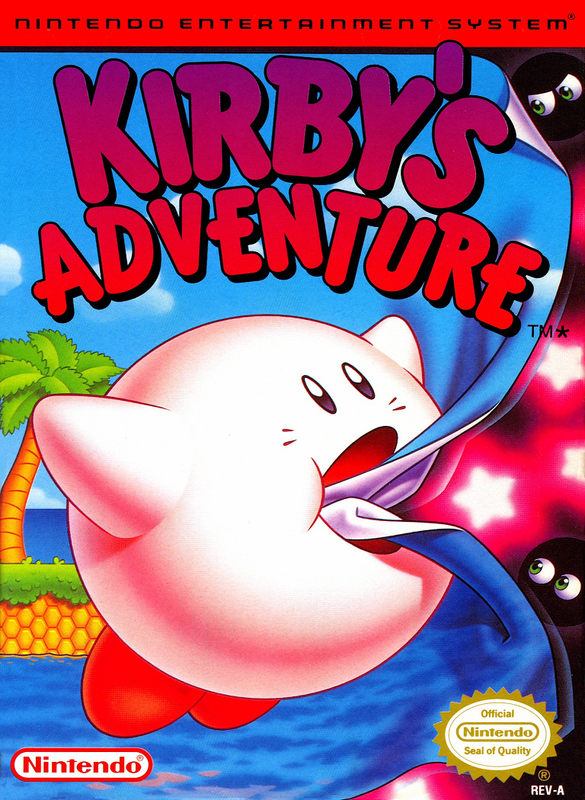 Much of what Kirby is today is due to Kirby’s Adventure. While some of the foundation for the series was laid in Kirby’s Dream Land, Kirby’s Adventure is both an​ enhancement of those groundbreaking elements from the first game, and a display of savvy innovation, beautiful aesthetics, and the most outstanding level of gameplay. Kirby’s Adventure begins when he and all of Dream Land suddenly lose their ability to dream. No dreams in Dream Land sounds like some serious business, so Kirby sets off to the source of dreams, the Dream Spring. There, he sees King DeDeDe taking the Star Rod, the source of the spring’s power, and giving pieces of it to his cohorts. 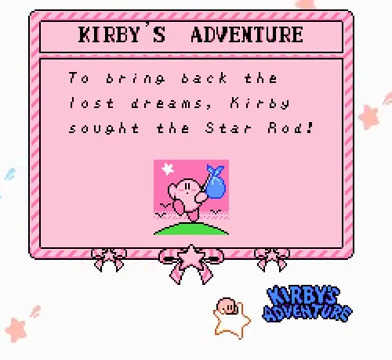 It’s up to Kirby to recover these pieces to restore the Star Rod and return the dreams to Dream Land. Although a more detailed story can be read in the instruction booklet, an abbreviated version is played out after waiting on the start screen. The way this version is introduced sets the overall tone of the game, which is a very colorful, lighthearted adventure with whimsical charm and playfulness throughout. Although only five screens, the jovial passages with accompanying pink backdrop and cute artwork set the tone nicely and are a perfect segue into the action. 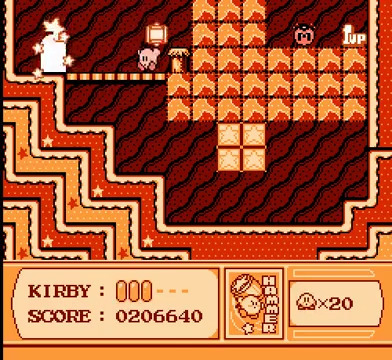 Kirby’s Adventure is defined by its superior gameplay, setting a gold standard for later Kirby games. From the first moments of the game, players are thrown into the action and must deal with wave after wave of DeDeDe’s cohorts. However, Kirby has a new trick up his sleeve. 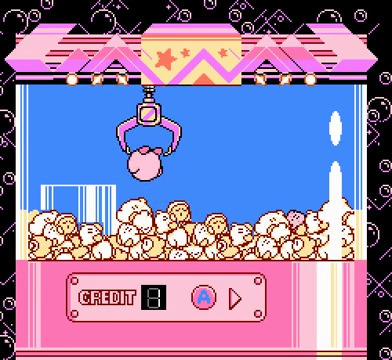 Yes, the technique that transcends all others in his arsenal, which has been both immortalized and perfected here in Kirby’s Adventure and has become synonymous with who Kirby is: the copy ability. Kirby now has the ability to copy the powers of his opponents. Gameplay that was once only one-dimensional with the inhale-and-launch style has now been opened up to endless possibilities. By inhaling these special enemies, Kirby can now eat them and use their attacks as his own. From firing beams and lasers, to wielding hammers and swords, to transforming himself into a heavy stone, a destructively speedy wheel, or even a UFO, Kirby’s copy ability and the range of powers that ensue completely opens up gameplay to new heights. With 25 different powers to discover, players have the freedom to slash, smash, electrocute, freeze, sing, poke, blow up, or ram through their enemies and finish each level in the fashion they see fit. With so many powers to utilize and styles of play that result, gameplay is constantly flowing and always wildly entertaining. Although gameplay mostly consists of defeating your enemies as you make it from start to goal, there is also a hidden bonus mechanism that is quietly implemented, yet incredibly noteworthy. It’s not required to find any of these hidden bonuses, but when you do, up to five different extra areas become available per level. These extras come in the form of mini-games, a museum, and an arena and can yield health, extra lives, or some of the rarer powers in the game. Unlocking these extras is done by pressing a comically large, yet very enticing button. But, in order to find these buttons, players will be challenged to locate hidden doors or utilize the right powers to break through barriers and reach new paths. For example, players may need to use the rare light ability to light up a room and backtrack to locate a door once hidden in the dark. Another example is to race down a path using the wheel power to reach a door before it gets blocked off. As the game progresses, these secrets become more difficult to identify and reach. In one particular stage, you need to break blocks that are underwater and overhead. The sword, hammer, and UFO can be used underwater, but only the hammer works in this situation, as it can hit above Kirby’s position to remove these special blocks. The devs don’t leave you without hints though, as the power or powers needed for the puzzles are usually found within that stage or the level’s extras. With the above hammer example, the level in which this stage appears also has an arena that yields this power. It’s a subtle hint, but rewards those willing to seek it out and hunt for that payoff. The hidden reward mechanic employed throughout the game is impressive, a lot of fun, and vastly varied, all while testing a player’s skill, awareness, and puzzle solving savvy. Along with fantastic gameplay comes equally remarkable aesthetics. Kirby’s Adventure is easily one of the best, if not the best, looking and sounding games produced for the NES. The devs pushed their skills and the NES hardware to their limits and the result is a living, beautifully detailed world full of bustle and charm. Each level is full of character and the stages within delightfully represent the level’s overall theme. Not only that, these environments are as interactive as they are splendid, serving to provide engaging romps, platforming, flight segments, swimming, and of course, hiding those hidden bonuses. The soundtrack is just as charismatic as the visuals, serving to build upon the charm each level possesses. The fast paced tracks used for Ice Cream Island’s stages fit perfectly with the warm color scheme, coastal backdrops, and tropical details. The tender lullaby tones of Grape Garden’s tracks are a superb compliment to the level’s cooler-colored sky kingdom appearance, creating an immersive sense of gentle reverence. The variety in these environments and their paired music is also outstanding, showing off the vastly unique, yet equally charming locales of Dream Land. It all comes together to create, in my opinion, the most exceptional aesthetic product delivered on the NES, easily challenging many of the SNES efforts debuting at the time. Kirby’s Adventure is an experience to behold, delivering generous amounts of charm, action, and fun. With such overwhelmingly wonderful gameplay and features, the only fault the game has is that it’s over too soon. Yet, with seven levels packed full of life and character, not to mention the armies of baddies to take down, Kirby’s Adventure continues to stand out as a greatly enjoyable and highly praised journey through Dream Land.